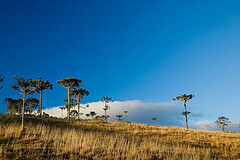 SIBGRAPI 2010 was held in Gramado, Rio Grande do Sul, Brazil between August 30th and September 3rd, 2010. 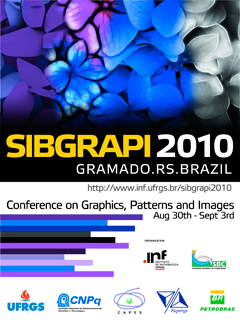 SIBGRAPI is annually promoted by the Brazilian Computer Society (SBC) through its CEGRAPI committee. It started in 1988 as the Brazilian Symposium on Computer Graphics and Image Processing and this was its 23rd edition. This year, the best papers were invited to submit extended versions to be published in the International Journal of Pattern Recognition and Artificial Intelligence and The Visual Computer. We thank all the authors and invited speakers for their contribution to the success of SIBGRAPI 2010. We are also grateful to Conselho Nacional de Desenvolvimento Científico e Tecnológico (CNPq), Coordenação de Aperfeiçoamento de Pessoal de Nível Superior (CAPES), Fundação do Amparo à Pesquisa do Rio Grande do Sul (FAPERGS) and PETROBRAS, and our institutions, UFRGS and SBC, for their invaluable support. Finally, we thank all the participants for making SIBGRAPI2010 a great sharing and learning experience!